These constructed creatures look like man-sized spiders with a large spring sticking out below the body. Since their legs aren’t movable, they use the spring as a method of movement, bouncing from place to place. 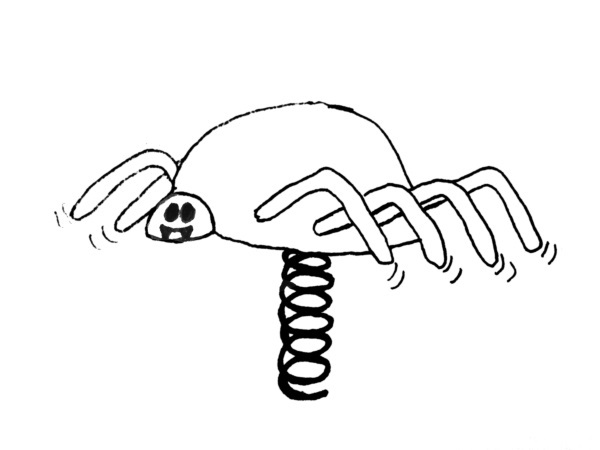 When attacking, the spring spider bounces at its target. On a hit, the target must make a saving throw or be knocked over by the force of the spider landing on it. If the target fails its saving throw, the spider may make an additional bite attack.